Cheesecake is delicious! My faves are white chocolate + blueberry or plain ol' strawberry. 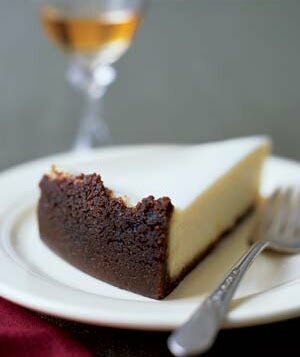 However, why not keep things more sophisticated & simple with a vanilla cheesecake? This recipe comes from Real Simple, and the recipe is for a 9inch pie. 1. Make the Ginger Graham Cracker Crust. 3. In a large mixing bowl, beat the cream cheese until smooth, about 1 minute. Beat in the eggs one at a time. Add 1 cup of the sugar and 1 teaspoon of the vanilla and mix until well combined. 4. Pour the batter into the crust and bake until set, 45 to 50 minutes. 5. In a small bowl, whisk together the sour cream and the remaining sugar and vanilla. Pour the mixture over the cheesecake, spreading it to the edge. Bake 5 minutes. 6. Cool and refrigerate overnight before serving. looks so delicios!! i really wanna try to cook it, seems so easy to make it! oh my! that sure does look tasty! it's been awhile since i've had a cheesecake!! I am all for that. 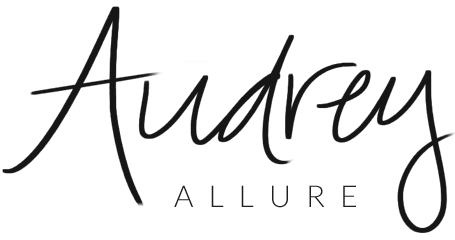 I enjoy Thursday's on your blog Audrey. Oh yum! Perfect holiday dessert and so simple to make. I'm a cheesecake addict, and this sounds amazing! Mmmm Vanilla Cheesecake is my FAVE! Your blog profile photo looks very pretty! I really have a weakness for cheesecake, haha! I totally agree about keeping it simple flavor-wise, too. P.S. CHI products are definitely great. Tis the season for cheesecake! hello honey!!!!!! !thank you so much for your comment!great post!! !im following you!Follow back?lots of kisses!nandia! Looks amazing, I'd like to be better at cooking. Oh wow, that looks delish! although i'm not really a big cheesecake fan. i'm more of a chocolate cake kind of girl. Cheesecake is my ALL-TIME favorite dessert! And vanilla sounds like a great addition! YUM! I want to make a cheesecake for my guests, even though I don't eat it, it still looks delicious. Mmm, I love cheesecake, and this looks delicious! You can't beat a classic, vanilla version, yum! I love cheesecakes too! always great for dessert! I'll never get tired of eating that! so yummy!